We each of us have our favourite authors, whether they're from the US, Australia, Europe , Asia or South America. Being British many of my favourite authors are...British. Apart from all the well known ones whose work we've come to recognise and admire, there are a fair few in number making good inroads into the readership markets. Today, and for the next month or so I thought I'd share with you some authors who you might or might not know about. Their lives are diverse...their work equally so...and some are extremely interesting. My first author, I'm pleased to feature is Jenny Twist...take it away Jenny! In 2001 they retired and moved to Southern Spain where they live with their rather eccentric dog and cat. Besides writing, she enjoys reading, knitting and attempting to do fiendishly difficult logic puzzles. She has written two novels - Domingo’s Angel – a love story set in Franco’s Spain and harking back to the Spanish Civil War and beyond - and All in the Mind – a contemporary novel about an old woman who mysteriously begins to get younger. She has also written an anthology of short stories - Take One At Bedtime – and co-written the anthology - Bedtime Shadows – with the inimitable Tara Fox Hall. She has contributed short stories to many other anthologies, of which two – Doppelganger and Uncle Vernon have recently been released as short ebooks. Her first self-published ebook, Away With the Fairies was released in September 2012. Her second, Mantequero, was originally published in Winter Wonders by Whimsical Publishing and has just been released as a short ebook. My name’s Jenny Twist (it’s my real name) and I’ve been writing for about twelve years, but only had my first book published 2 years ago. I had always wanted to write but life kept getting in the way, so I didn’t actually get started until my husband and I retired to Spain in 2001. Not long after we moved here Stephen King brought out his seminal On Writing, which has been my bible ever since. One of the things he does in the book is set the scenario for a short story and suggest that you finish it. The result in my case was Waiting for Daddy (now published in Take One At Bedtime). I was so pleased with it that I sent it to a local magazine, Streetwise, which features, amongst other things, short stories for English people living in the Costa del Sol. To my delight, they asked me to provide a piece every month, alternating between articles and short stories. This was really good for me, as it gave me deadlines to meet and I really set to and began to write down stories I’d had in my head for years (which felt a bit like cheating) and the occasional new one. I also started writing stories for competitions, one of which was set in Spain in the 1950s and later became the first chapter of my novel, Domingo’s Angel. I spent several years sending stories to magazines and getting them rejected or ignored and I had really given up hope of ever getting any published. It seemed there just wasn’t a market for the kind of stuff I like to write. I tried my hand at more middle-of-the-road romance, which is what the English magazines prefer, but they all have their existing stable of authors and aren’t really interested in looking at anyone else. Most didn’t bother to reply at all. Those who did were usually quite obviously using a form letter and clearly hadn’t read the work in question. I once, to my amazement, got quite a rude letter from a major magazine publisher which appeared to be criticising an entirely different piece. The comments didn’t relate to my story at all. What amazed me was that they should be so unkind to people who submit stories to them. Surely many of these are their own readers. Do they really think it’s a good idea to insult them? By this time my novel was nearing completion and I began sending it out to publishers and agents. I had higher hopes for the novel because it seemed to be a more commercially viable proposition. During my research on publishers I had a very close shave with a vanity publisher which had disguised its true nature so cleverly that I was about to sign the contract when my husband, re-reading the small print, noticed it was ‘author-funded.’ I could have committed myself to paying £3,000 (about $5,000) to a publisher who would have had no interest whatsoever in marketing my book, since it had already been paid for printing it. Then I discovered the site The Passionate Pen. 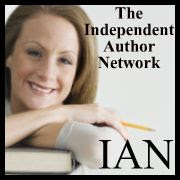 If you are an author looking for a publisher, you really need to know about this site. It not only lists all the publishers who pay YOU (rather than the other way round), and all the reputable agents, but it also has a list of the ‘bad guys.’ Through this site, I found my main publisher, Melange Books, then called Midnight Showcase. I sent them the novel. A few weeks after that they accepted the novel . I had gone, in a matter of weeks, from struggling writer to soon-to-be-published author with TWO BOOKS to my name. That was one of the happiest moments of my life. Take One At Bedtime, the anthology of my short stories, was published in April 2011 and Domingo’s Angel, a romance set in Spain during and after the Spanish Civil War, in July. Since then Melange has published several of my stories in multi-author anthologies, plus another novel and another anthology, this time with the amazing Tara Fox Hall. Now that I have become established I have found that publishers are much more willing to accept my stories. Not only does Melange seem to be happy to publish my work, but so are other publishers. It’s like a Catch 22 situation. Once you actually find a publisher it’s much easier to get accepted by others. I’m telling you this so you don’t give up. Success breeds success. A lot has changed in the publishing industry in the two years since I got started. It has now become so easy and cheap to publish your own book, that one wonders whether it’s worth going through all the hassle of trying to persuade a publisher to take you on in the first place. After all, a publisher doesn’t do much for you that you can’t do for yourself. It is completely free to put an e book on Amazon using their KDP program. Of course, you do have to pay for editing and cover art, but maybe you have friends who will edit your work and do the artwork. You may even do your own artwork. But under no circumstances attempt to rely on your own editing. It doesn’t matter how good you are, you can never see your own mistakes. “Ah, but what about promotion?” I hear you ask. I hate to disillusion you, but NO publisher, not even the big houses, promotes an author unless that author is already a celebrity and expected to be a bestseller. You have to do your own promotion. This was an awful shock for me. I thought you got published and then sat back and waited for the money to roll in. Promotion is a whole different issue, so I won’t deal with it here, but don’t panic. It’s not difficult, just time-consuming, and you make a lot of friends on the way. What I can tell you is for me it was worth it. I have never been happier in my life than I am right now. I’m doing what I always wanted to do and it is just as satisfying as I always knew it would be. Thanks Jenny, for a chance to look into your interesting past...I loved the escapologist’s assistant part...that I didn't know! And thank you all for dropping by. I hope you enjoyed Jenny's post as much as I did. Congratulations, Jenny! It's so encouraging to hear success stories from other authors who have worked with small presses - I just got my first book published with a small press, so I definitely understand the no-promotion disillusion, but also the thrill of being a newly published author. Best wishes with your future work! How nice to meet you. And congratulations on getting your first book published. Hope you sell a million! Thank you so much, Jenny for sharing part of yourself with us.